Bella the cat is the center of the Casa Vento family. In fact, she is amazing at how she has a special ‘thing’ with each person and insists we all follow her rules daily! One of the kids has to brush her, and one has a special sitting section they hang in, while another carries her on his shoulders or she won’t move! It’s only fitting that having the best pet deserves providing the Best Healthy Pet Food. We know that we can’t just serve Bella just any food, because she does not treat us just ‘any’ way, she is real special and deserves, real meat, natural nutrition, that is protein rich. In fact, we prefer to provide Bella with healthy holistic pet food and we have found it. After talking to so many other pet owners (cats and dogs) we have heard that it is hard to distinguish what is ‘real’ out there and what is not. It’s time we discuss the best healthy pet food for indoor cats and help all of you in finding what you are seeking so your pet can lavishly live feeding time out loud. Pet parents are crazy about our cats (dogs) but we are not crazy about the choices. Many of us are seeking real meat and natural nutrition pet food . We love our pets like family so we need to feed them that way. Bella is a small, black and white Tuxedo cat that we rescued. She has been 10 pounds since we got her and we never want her to get bigger. Our vet tells us we are doing a great job so continue whatever it is we are doing! Bella would never have survived outside, as we have owls, red foxes, and coyote and rather than having any misconceptions about an indoor/outdoor cat or having any tears from a loss (kids and pets), the best decision was to make her an inside cat and she is thriving. One of the hardest things for me to do was to find a food that offered higher concentrations of meat with no grains. Protein is best at keeping her slim, and at her perfect weight, but there is more to an inside cat’s diet. It’s not just about Bella’s weight, it is about maintaining a healthy immune system, a healthy skin and coat (love that shine on her hair) and help with hairballs. Truly, there is nothing worse than stepping in a hairball puddle (ewwww, I am just picturing this again, yuck). Her weight matters, her digestion matters and honestly with the finest in ingredients built into her cat food we know that she is getting the beneficial nutrients she needs which helps her system digest as easily as possible. What’s best for our Bella and other cats out there in your homes? A Holistically formulated cat food that will support your cat’s special needs. This journey was, fast, easy and friendly and what I have found is real meat, natural nutrition, and food that is protein rich. I traveled right to the cat food aisle. This formula is for the indoor adult cat and it offers vital nutrients and antioxidants that Bella needs. There are no chicken by-products in it, it is protein packed (helps to keep her lean) and there are no artificial preservatives or flavors. Blue Buffalo is grain free and offers natural nutrition it is a very healthy pet food. The calories are balanced so that Bella will maintain an ideal body weight. The gift to our family is that inside of this there is a blend of 3 natural fiber sources to help reduce hairball formation, which in turn reduces those piles of ‘yuck’ we don’t want to step in! The BLUE Wilderness Recipe was inspired by the diet of wolves for dogs and the wild lynx for cats, true omnivores whose endurance is legendary. BLUE Wilderness is a protein-rich, grain-free food that contains more of the delicious meat your pets love. This line of food is ideal for active pets and pet parents who want a high concentration of meat with no grains. Lavishly live the daily celebration of your indoor cat out loud and make sure to get some for their next meal! Bella Approved! Every pet’s needs are different, but there are definitely pets with allergies and breeds that really can benefit from changes such as grain free. Thanks for sharing! Good food are very important for all of pet and very much need there neutralization. either are ill every time. We just switched our cat food and can definitely tell the difference. You really CAN tell if you aren’t buying the cheap stuff. The health of an indoor cat can be so much better, compared to the feral cat, but they need to start it all with a good food! I’ve heard of Blue, maybe I should try this for my cats. One of them is super sensitive so I’m always scared of changing the food we use. I’ve heard so many great things about Blue. I need to finally give them a try. When we had a dog, we fed her Blue Buffalo dog food. It was the best I found! Adorable cat! It’s definitely important to make sure you are feeding your furry friends the right type of food and treats. There’s no pets (dog or cat) in my household expect a bunny. But good to know there’s a healthy food for cats. I’ll share this with my girlfriend who has a cat. This sounds like an amazing cat food for pet food. Feeding your cat the best is so important they are a member of the family. I haven’t heard of this brand (we are a dog household here) but it’s great to know there’s a healthy option for indoor cats. This is really ideal for my Kitty.. she’s an indoor cat too but my problem with her is that she is very picky with her food.. so maybe this could change her appetite! I do not have a cat but I have friends who do that would love to try this brand i am sure! What a cute cat! I have two of them and they are also indoor cats. I’ve heard this is a good brand! It is also important to give kitties the right food because it gives them the energy for the rest of the day. I do love me some kitty kat. We don’t have a cat but our neighbour does and his cat thinks this is his home! Maybe I’ll get some food for him, great handy post! Sharing this with all my cat loving friends!! It is so important to take care of our pets! I bet my kitty is gonna love this brand. Thanks for sharing! It’s so important to keep your cats healthy. Yours are adorable! A cat’s diet is so important. 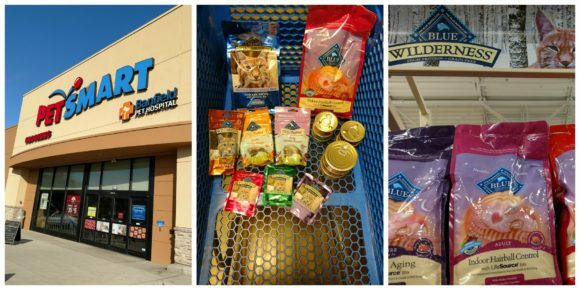 It’s good to know that Blue provides everything your fur baby needs. Aw your Bella is a beauty. I’m glad you found a good fit for her pet food! We don’t have a cat, but I have heard that Blue is a good brand. This looks like some great food. I have two kitties. That’s awesome. It’s important to make sure that we feed them with the right food since it’s where they get most of their nutrition from! I’ve heard really great things about this brand. I’ll have to give them a try next time I need more pet food. I miss having a cat in my life. We worked hard to make sure that our girl was well fed and healthy. My cat would love that food. I will buy it for him. My dad also swears by blue buffalo! He has 6 cats… and adores each one! I shared this with him as well! GREAT tips! So cute! Our daughter has a black and white cat that looks like Bella, except 10 pounds heavier, lol! I’ll have to show this to her.